Garage doors are not required to be opened by hand anymore. Thanks to the evolving technology, they have now become automated and much smoother in operation. These days, garage doors come equipped with remote controls, motion sensors and more such frills to make your access easier and your doors swankier. Automated garage doors are becoming a thing in Griffith, IN as they are not just classy but can add a lot of sass to your curb as well. However, even though these doors use sophisticated technology, they are not exactly immune from random failures. 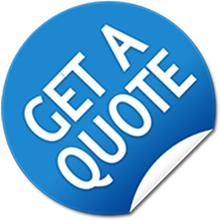 To add Expert Garage Doors Service to your speed dial would mean that you have expert service always just a touch away. We can fix your garage door openers or replace them, if required. Expert Garage Doors Service offers wide variety of garage door openers, giving its clients the freedom to choose the options that fit their needs and budget, without compromising on its quality. We can provide you with high-quality automatic openers that come in various specifications and are designed to handle varied kinds of door weights. 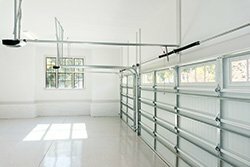 Not only do these openers offer ease of use, they also need least amount of upkeep as Expert Garage Doors Service only works with top quality manufacturers. Our Expert Garage Doors Service team is highly specialized and can install openers that are futuristic and can easily blend in with your home’s existing automation system. You can up the security a notch higher by including keyless entry or remote controlled entry to the mix! Once you have chosen the door you want, Expert Garage Doors Service can help you with its installation and subsequent maintenance.